WE HOLD THE RESPONSIBILITY OF LOOKING AFTER WHAT IS NORMALLY OUR CLIENTS GREATEST ASSET IN THE HIGHEST REGARD AND CONTINUALLY WORK TOWARDS PROVIDING THE ULTIMATE SERVICE. We are a unique team of two resulting in the highest performing sales in the local area. With our backgrounds in sales, customer service and administration we have all bases covered offering our clients a top-class priority service. Living in the local area for over 16 years we are very passionate about the area and all it has to offer. 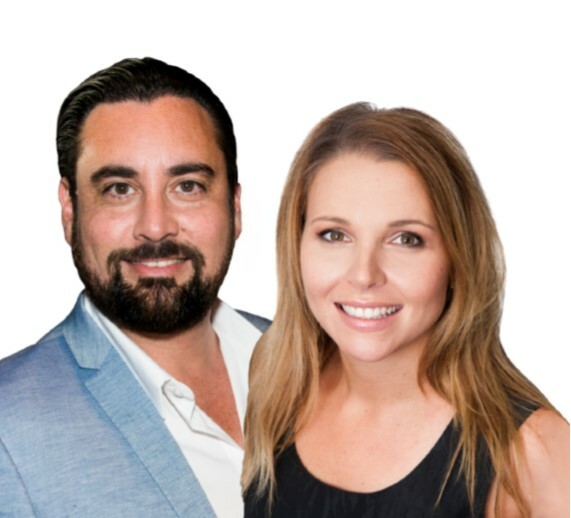 We offer a point of difference with the two of us, with very distinctive roles we are able to give the best attention to every detail of the real estate process and pride ourselves on quality service and great results. Down to earth, didnt sugar coat anything. Explained everything thoroughly and was always on call if we had any questions. Explained each process and kept us up to date with the buyers. As you can imagine, it wasn't easy finding the right house for my parents. They had lived in the same family home for over 40 years and weren't very happy to leave. With dad's medical condition worsening, there was no way he could continue to manage the structure of the home. Convincing my parents this move was in their best interest was the hardest task in my life. Your patience and understanding made this mission less taxing and leaving the welcoming gift was such a beautiful gesture. Showing 1-24 0f 24 total results. Showing 1-20 0f 20 total results.